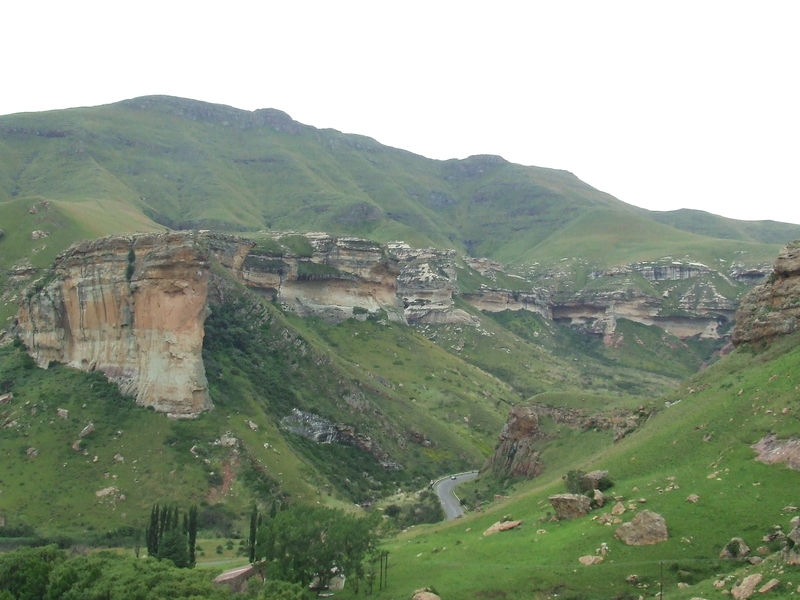 No visit to Golden Gate would be complete without a hike to the top of Brandwag Buttress (Afrikaans for “Sentinal Buttress). This sandstone cliff adorns all the postcard of the park as it has a golden glow at sunrise and sunset; hence the name Golden Gate. 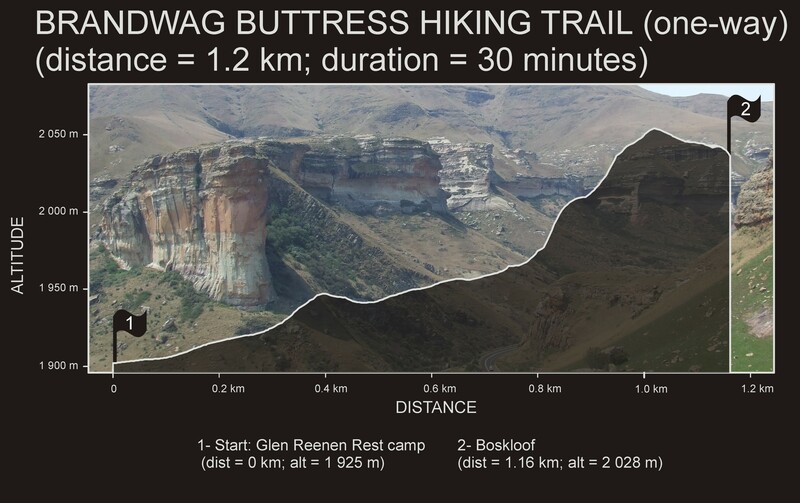 The back-and-forth route from the Glen Reenen Rest Camp is just 2.4 km and should take roughly an hour to complete. The majority of the hike is along a very gentle and clearly-marked path with exception of the final stretch before the cliff itself; here you’ll find a moderate rocky outcrop that has to be climbed carefully. Although there is a fixed chain to help you with this, it shouldn’t pose much of a challenge for anyone with the ability to clime a ladder or steep staircase. A second route from the Golden Gate Hotel approaches Brandwag Buttress from the west and is a shorter route comprised mostly of man-made steps build along the mountain side. This handy short-cut should be reserved for anyone who only has enough time for a hurried scramble up the hill; because it lacks the views and sandstone overhangs of the main route.